Monotonectally engineer B2B total linkage with professional platforms. “Ueno Group is one of Japan’s leaders in the food additive and chemical industry. The first factory in Thailand was built in 1988 on a 12.5 acre area in Bangpoo Industrial Estate Samutprakan Province to produce Sorbitol and Maltitol, sugar-free sweeteners, commonly used as ingredient for bakery products, beverages, candies as well as meat products such as surimi and sausage. 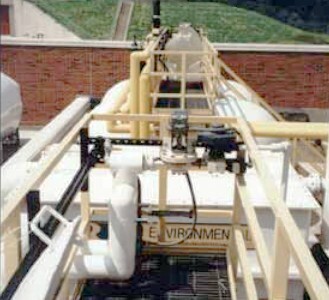 The floor systems used in most areas of the facility are epoxy and PU flooring which is seamless and easy to keep clean. 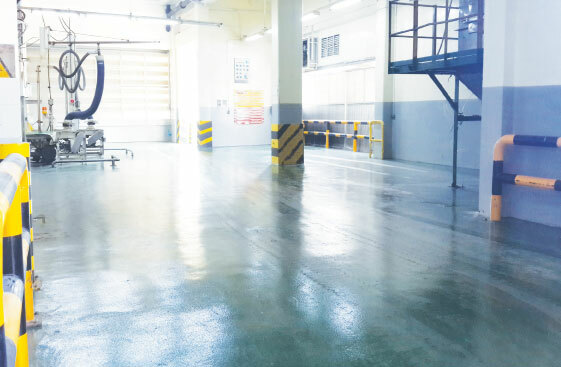 However, Ueno’s facility being in Bangphoo Industrial estate in Samutprakarn province where there is usually high moisture content in the ground makes it difficult for the PU and Epoxy floor to remain stable. The facility was also built more than 20 years ago and has on-ground concrete slab structure. So the moisture pressure along with the daily heavy forklift traffic have caused damage to the existing epoxy and PU floor in many areas in the facility. A lot of time and money has been spent on flooring to keep the environment up to the food industry standard. Ueno and Michiko Trading (Thailand) (a company that specialize in civil construction works) have worked together for a long term solution to the flooring problem so that Ueno does not have to sacrifice production for floor maintenance anymore. As a flooring contractor that has long history in Thailand, 949 supplies was invited to investigate and propose a long term solution. First installation was done in a small area to test the proposal. 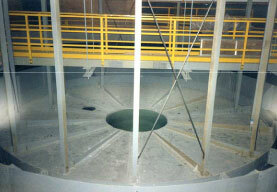 During the installation the existing damaged and weaken concrete floor was removed. Cracks were repaired with Stonproof CT5 before the installation of Stonfil OP2, the 3 mm. cementitious moisture barrier grout to reduce the moisture pressure from the ground that would damage the bonding of the epoxy or PU floor. Finally Stonclad UR, the urethane troweled mortar, and Stonclad GS, the epoxy troweled mortar were installed in different areas. After a few months in normal operation it is clear that Stonhard floor has been performing well in the harsh environment. The floor is seamless and easy to clean and is still durable in the heaviest traffic area. Besides the Stonfil OP2 that has given success to the epoxy and PU floor installation at Ueno, the overlayment Stonclad UR and Stonclad GS troweled urethane and epoxy mortar system also have provided superior benefits of easy renovation because recoat and patch can be done to give a floor a new look without requiring a long shutdown time. At the end of 2014 Ueno has upgraded its facility. 949 Supplies has installed over 1,000 sqm of the moisture barrier system and Stonhard floor.